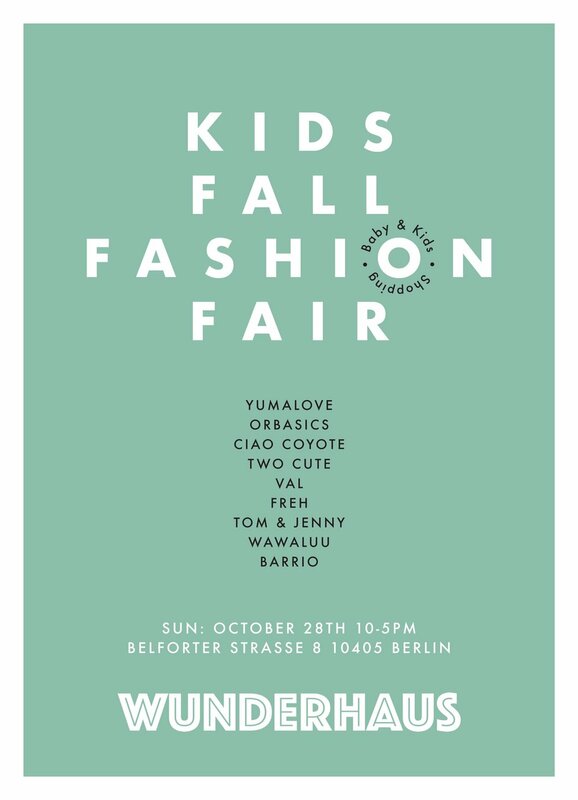 Kids Fall Fashion Fair at Wunderhaus Berlin this Sunday! Featuring Ciao Coyote’s newest addition, small poster prints! They’re A2 sized (59x43 cm) and fit nicely into cozy nooks of a playroom or bedroom, or anywhere in your home that needs a little color and a story. Really happy to be invited to be part of this, along with some of Berlin’s very coolest kids brands. So stop by and check us out!